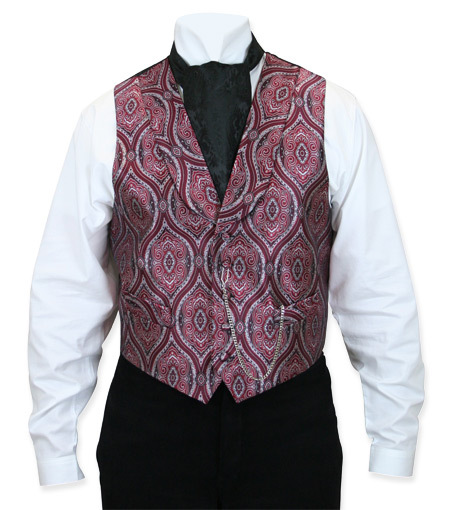 Show off your royal style in our multi-hued Kingsley Vests. 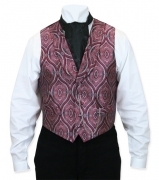 These gorgeous vests offer an array of colors to suit your Fall Harvest Ball or Halloween Carnivale. So kick up your heels and raise your glass in tribute to the new season.. 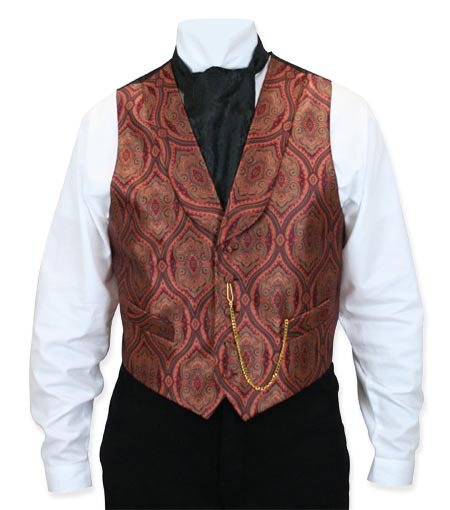 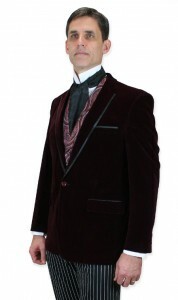 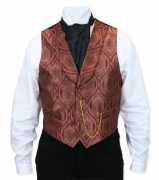 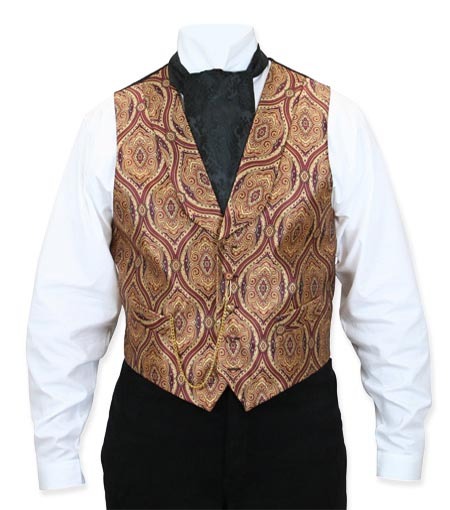 This luxurious single breasted vest features a formal shawl collar and five fabric covered buttons, keeping this vest as dressy as they come and guaranteed to impress at any business or social engagement. 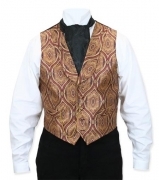 These vests will gladly stand alone, but they really shine as the crowning achievement in a full ensemble. Shown here with our Westchester Smoking Jacket and Henderson striped trousers. 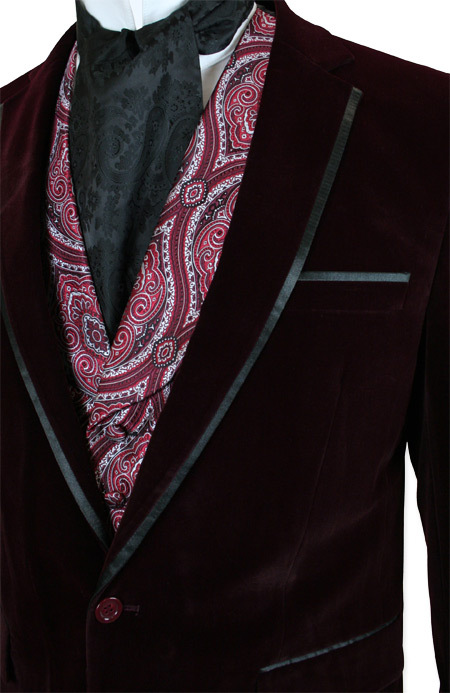 Want more color? 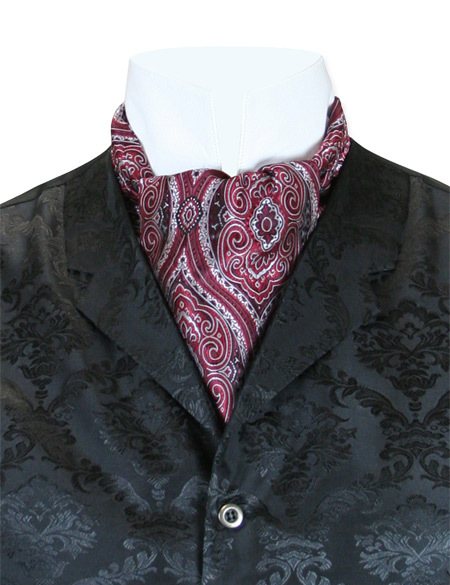 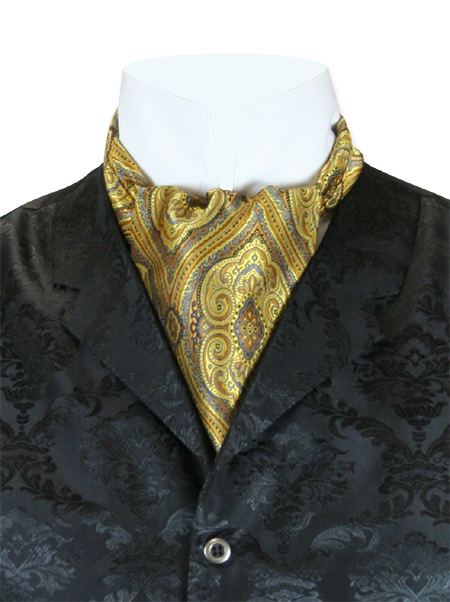 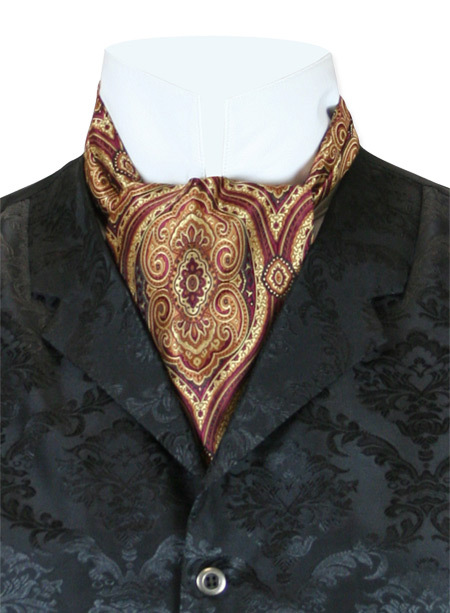 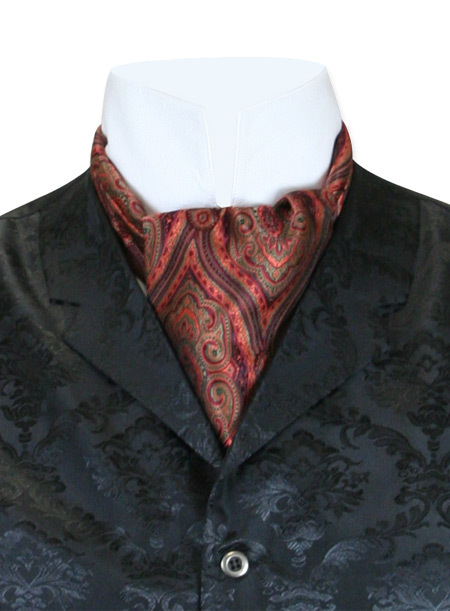 Or perhaps you want to add just a dash of spice to your traditional black vest or suit, then try one of our Kingsley Ascots. 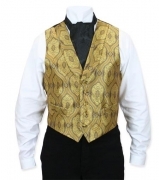 When mixed in with the vests, they can make a great groom / groomsmen combination. Fair warning, though: you won’t find these items anywhere else, as they’re Emporium exclusives!